Finally iOS 9 beta 1 released by Apple on June 8, 2015. The version is currently can be download from Apple Dev Center. Registration as developer must be need to download iOS 9 beta 1 through Apple Dev Center otherwise OTA the other way. Reviewers predicted that Apple is going to be introduced new features via iOS 9 and now it is coming true, because list of features launched with iOS 9 beta 1. Be expect the next generation major mobile operating system iOS 9 and wait for iOS 9 cydia download so soon. “Proactive Assistant” is the usable feature which is included in iOS 9 beta 1. Proactive Assistant powered to do ton of actions on anytime anywhere. For examples Calendar events are automatically creating for restaurant booking and reservations so soon. If you got a call from unknown number then you can see who might be calling with number included email. If you got a contact number with email, then it will be automatically added to your original contact menu. When you turn on your iPhone in the morning, then iOS 9 will decide which app you should open and it will shows your daily routine in the morning to night. Users can connect their iPhone to car or headphones and with new feature of proactive assistant will allows to enter music playlist or audiobook easily. The feature allows to you see those you talked to latest, those you are next expect to meet and all contacts. Even users can see categories of places nearby. Like fun, shopping, food and etc. Suggested apps are shows what you are most likely. For example if you read gossips habitually in the every morning then your gossips app shows up in the search screen at the time you normally wake up. 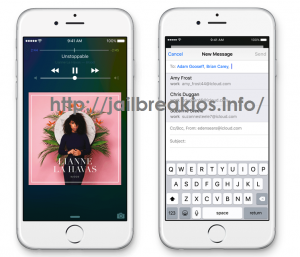 Stay with us along for iOS 9 jailbreak info. Apple has promised to announce the first news of iOS 9 beta 1 during their Apple World Wide Developers Conference, WWDC 2015. Predictions are prospered. 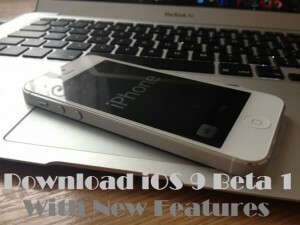 Finally Apple launched first beta of iOS 9 on 8th of June for all Apple fellows which are staying with lots of hopes to download iOS 9. 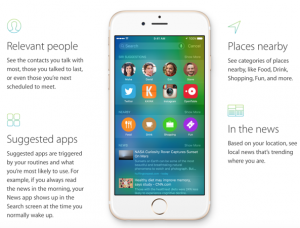 Apple’s new iOS 9 beta version platforms for iPhone, iPad and iPod touch with wide range of improvements and changes. 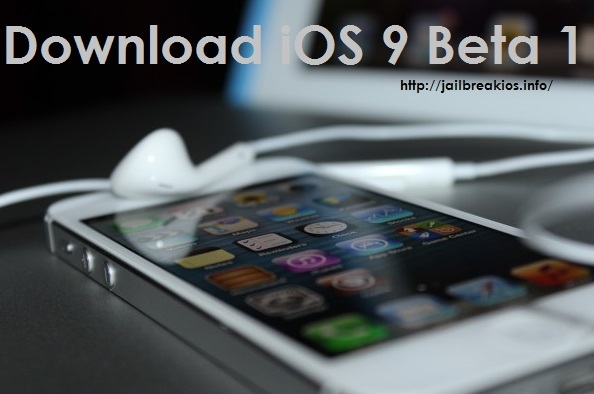 We expect iOS 9 few beta versions during Apple’s testing period before confirm iOS 9 major version. 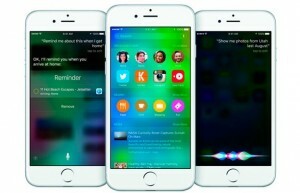 iOS 9 is then next generation major mobile operating system and it will be the Apple’s iOS turning point. Its first step is kept on yesterday in San Francisco. Apple opened the entrance for all members of Apple Dev Center to download iOS 9 beta 1 from their company website. [ WWW.Apple.com] Membership as developer must be wanted to download iOS 9 beta 1 through the Apple Dev Center. OTA is working as other entrance to download iOS 9 beta but it is not as a platform with jailbreak. Before you start to install iOS 9 beta 1 on your iDevice don’t forget to do full device backup using iCloud or iTunes . Step 1 : Earlier to download iOS 9 beta 1 sign up for Apple Dev Center http:/developer.apple.com/programs/ using your registered Apple ID. Step 3 : Click “ Certificates, Identifiers & Profiles” from Member Center Page. Tap on “Devices” from iOS Apps and here click on “+” to do registration of UDID. Step 4 : Navigate to SDK > iOS > iOS 9 beta 1 and then tap on “Download”. Select your device from menu to continue downloading. Step 5 : At the end of the download, extract the downloaded zip file for installation. Step 6 : Now install it on your idevice.